The new Mercedes Benz C Class Estate is a roomy, premium estate for a family. Our review is based on in depth analysis of different published car reviews for C Class Estate. C Class Estate is surviving the tough competition with competitors like BMW 3 Series Touring and Audi A4 Avant. However, C Class Estate has managed to outrank both on some grounds. Mercedes Benz C Class Estate is a mixture of high performance, good looks and plush refined interior. You can choose from wide range of engine and transmission choices. C Class Estate is designed to provide sufficient space and feel of a premium car. However, the interior cabin lacks the upmarket flavour. Most of the car reviewers appraise the driving experience. The new versions are more refined even the lowest price model is fully equipped with high-tech gadgets. C Class Estate is not for the buyers looking for affordable Estates because price is higher. The engines are small and sound is husky that may annoy some of the delicate buyers. The sports model is more fun to drive and firm on the road. If you can afford the C Class Estate, you might get confused which trim to select. You can select from 13 different trims, including the C180, C200, C220 and C250. The most expensive C250 CGI BlueEfficiency Sport is the best trim and most expensive. The fuel economy is also enhanced from previous models of C Class Estate with an average of 6 miles per gallon. You can choose between five different petrol engines and three diesel engines. If you want to keep your budget balanced, then C180 and C200 are the best choices. Both the trims offer excellent performance and fun to drive handling. The C180 produce 154bhp and C250 produce 201bhp with supercharged engines. The highest performing is AMG C63, but it has the flagship of AMG. The three diesel engines also perform well with C200 CDI 134bhp, C220 168bhp and C250 201bhp. The best pick would be the C220 because it offers balance performance, affordability and speed. C Class Estate is available in two versions. One is designed to offer sporty performance and other towards more comfortable performance. Both have adaptive suspension that can adjust according to road conditions. The sport model has lower, stiff adjustments and perfect steering. As a result, the sports model is the best handler. The comfort oriented model provides peaceful long journey. C Class is the best motorway cruisers, but the small diesel engines sound husky. The manual transmission is not up to the mark, but easy to go along with. Automatic transmission provides more smooth drive and speed. You will feel silky-smooth gear changes from seven speed automatic transmission. Each model comes with Agility Control Package, which adjusts according to every driver driving style to provide the optimum ride. 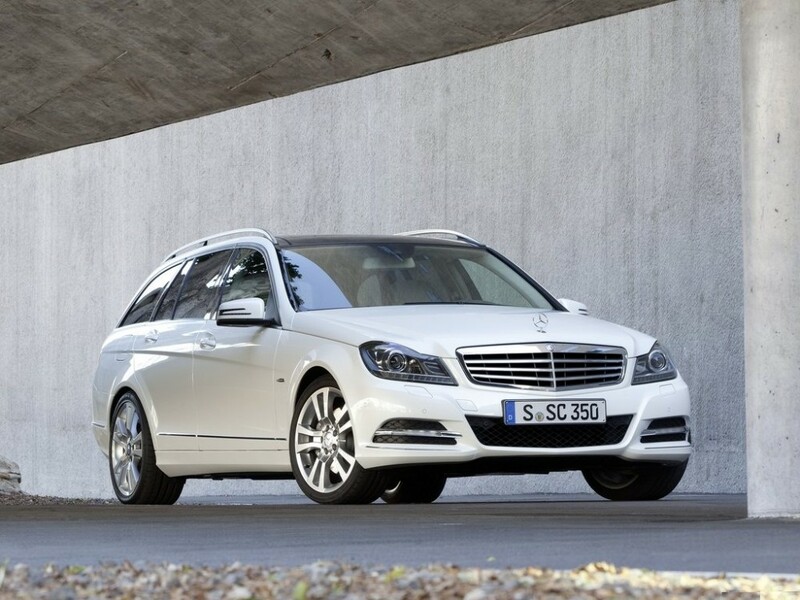 C Class Estate is the perfect cruiser and equipped with comfortable seating for driver and passengers. Thanks to the softening seat cushions and back support to provide comfortable long journey. Each trim comes with dual-zone climate control. You can choose from different interior trims and designs according to your taste. The optional leather upholstery completes the luxurious interior with elegance. The C Class is comfortable and takes good care of its driver and passengers. There are sufficient storage space for small items like keys, chargers and coins. There is a huge 485 litre of luggage capacity bigger than any other rival. C Class Estate is also equipped with high-tech gadgets. You can control most of the functions with single rotary knob that enables you to scroll through on-screen options. The standard C Class Estate comes pre-loaded with all the necessary features like parking sensors, climate control, cruise control, automatic wipers, alloys, and safety kits. C Class Estate not yet crash tested by Euro NCAP http://www.euroncap.com, but it is built on a similar framework of C Class Saloon. C Class Saloon receives the highest 5 star rating and so does C Class Estate expected to receive. Moreover, the body is more reliable and stronger than previous versions of Estate providing better protection for passengers. All the trims come with seven standard airbags to provide maximum safety, including curtain and knee airbags. It has Pre-Safe system, which prepares the car and the passengers if it detects the accident is eminent. There is also optional intelligent light system that adjusts according to driving conditions. 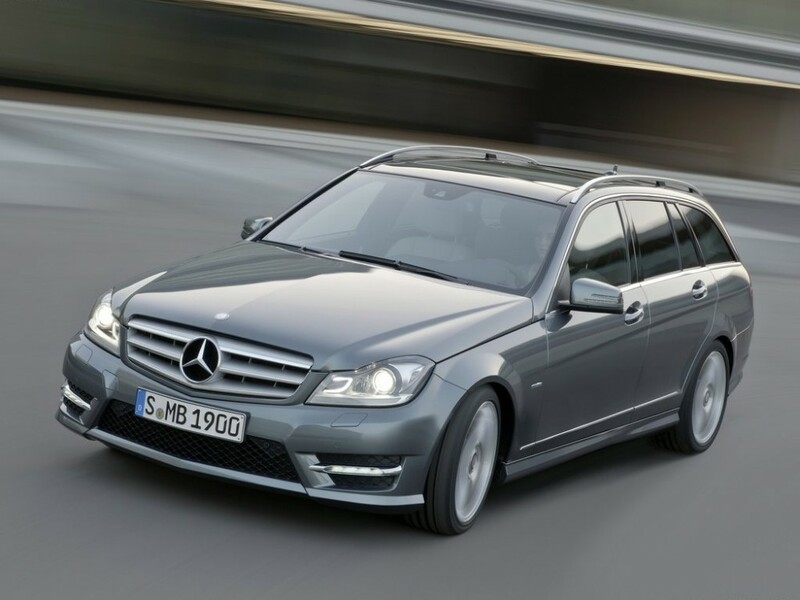 C Class Estate is one of the most reliable cars to drive and there no significant issues. It comes with three-year unlimited miles warranty. You need to check with your local dealer for brochure and test drive information. C Class Estate is perfect for buyers looking for premium Estates. The running costs are also lowered due to fewer CO2 emissions. It is now much cheaper to drive than previous versions of C Class Estate. Purchasing the economical versions of Estate C180 and C200 will save running costs. For maximum protection, you can get the best auto insurance coverage.